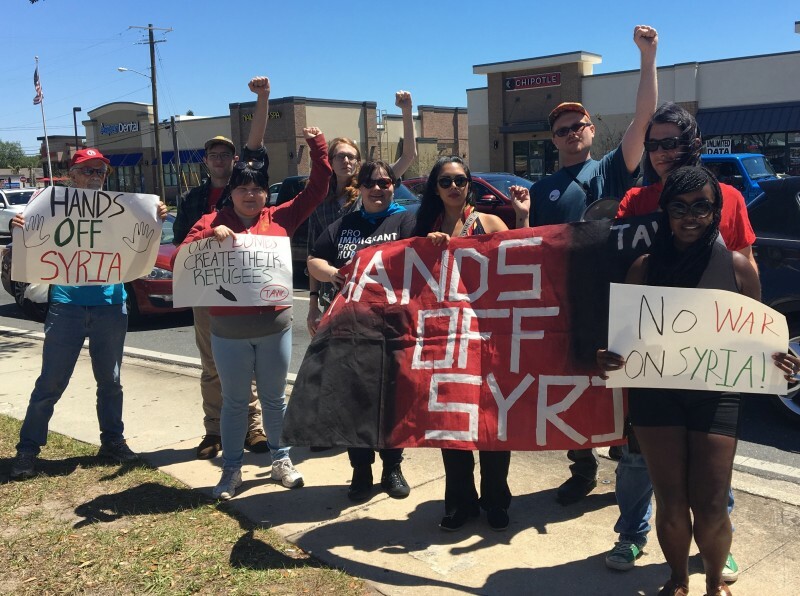 Tampa says hands off Syria, refugees are welcome here | Fight Back! 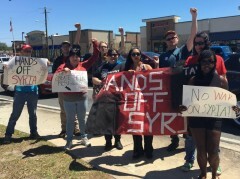 Tampa, FL - Around 15 activists and community members gathered to oppose U.S. intervention and aggression against Syria. The protest was in response to the launching of 59 Tomahawk missiles on Shayrat Airbase as ordered by Donald Trump. This attack is the first time the U.S. has directly attacked the Syrian Arab Republic, but is not the first time the U.S. has attempted to overthrow the Syrian government. The Tampa Anti-War Committee will continue to protest U.S. war in Syria.